Somewhere west of North Pownel, VT.
Crews called it the "Wide Iron". BM-3 is on a stretch, operated as double track, but having two rights of way. 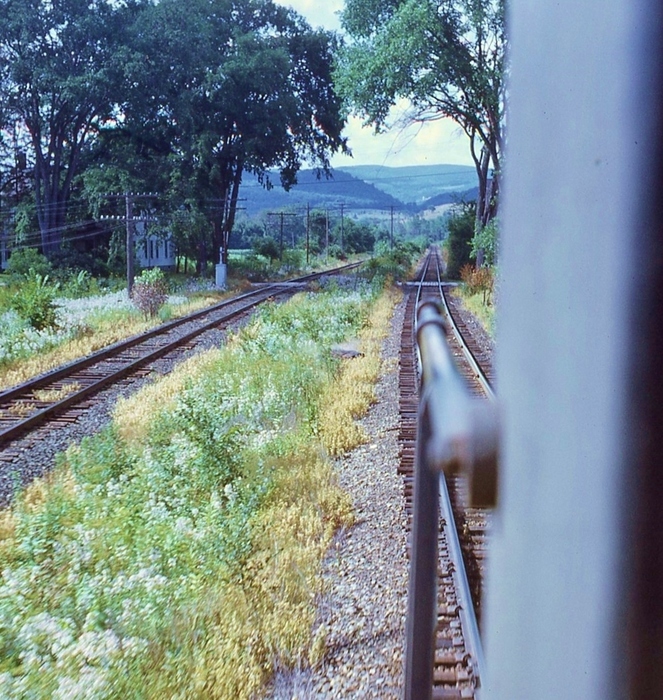 Those alignments varied in proximity and elevation, having been inherited from two separate railroads, which ultimately became components of the B&M. Photographed by Ken Patton, August, 1968. Added to the photo archive by Ken Patton, October 15, 2018.